Remember the postlude in the pensive jazzy Rehna Tu in 'Delhi 6'? That was made possible with the help of what is called the Continuum Fingerboard. It is not an instrument in itself and works like a synthesizer of sorts, to enhance what any other instrument produces. The continuum does not come with traditional keys and has a touch screen with very long music sustenance. This was developed in the University of Illinois and has been used in Indian cinema only by AR Rahman. World over, there are said to be only eight people using the finger continuum. 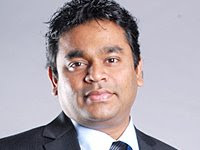 Of course, AR Rahman’s penchant for technology is known. The academy winning composer started out only as a keyboard arranger, and legends are innumerable about how Rahman was always keen on the gadget side of things. It was for this reason that he got noticed even in his first film ‘Roja’, which was a whiff of fresh air, when it released. The continuum, along with the accordion, was played by Rahman himself in Rehna Tu, apart from him singing as well. It is now said that Rahman is using this in great measure in Rajini’s 'Yanthram', for which the Oscar Tamilan is composing music.